New research using a technique that measures the isotopes of lead and neodymium in lunar crustal rocks shows that the moon and Earth may be millions of years younger than originally thought. The common estimate of the moon’s age is as old as 4.5 billion years old (roughly the same age as the solar system) as determined by mineralogy and chemical analysis of moon rocks gathered during the Apollo missions. However, Lawrence Livermore National Laboratory scientist Lars Borg and international collaborators have analyzed three isotopic systems, including the elements lead, samarium and neodymium found in ancient lunar rocks, and determined that the moon could be much younger than originally estimated. In fact, its age may be 4.36 billion years old. This entry was posted in Uncategorized on 2011-08-19 by liamvictor. This entry was posted in Uncategorized on 2011-08-15 by liamvictor. 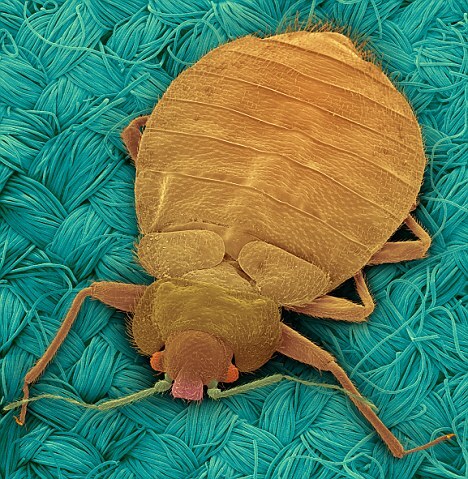 Most of us probably think that bed bugs belong to a bygone age when hygiene was less of a priority. But the tiny biting insects are on the march. Pest experts say the number of homes invaded by the parasites has exploded in the last decade and they are now a bigger problem than any time since the 1940s. Some firms say that the number of call-outs they attend has gone up 200-fold in the last ten years. This entry was posted in Uncategorized on 2011-08-14 by liamvictor. Once climbing a tree came naturally to children, now they are being lessons in how to do it. Charles II Song – Horrible Histories With Lyrics! This entry was posted in Uncategorized on 2011-08-9 by liamvictor. This entry was posted in Uncategorized on 2011-08-8 by liamvictor.